Dance Gala by the Shanghai Opera House Dance Ensemble, organised by the Monte Carlo Opera on Wednesday 7 November, at 8 pm, Opéra de Monte-Carlo – Salle Garnier. 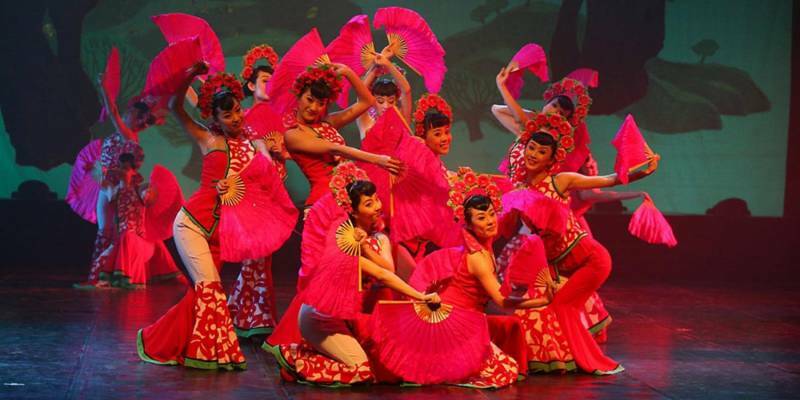 For 60 years, the Shanghai Opera House Dance Ensemble (SOHDE) has played a major role in the world of Chinese traditional dance. The company’s numerous original works of choreography have become staples of the repertoire, and its style, both superlative from a physical point of view and rooted in an age-old tradition, has won over audiences. It is particularly represented in the ballet “Dagger Society”, which is considered to be the company’s founding work. The ballet company has accompanied China’s top leaders (Mao Zedong, Zhou Enlai and Liu Shaoqi) on visits abroad, allowing it to gain international recognition. In recent years, it has expanded its outlook, tackling new styles such as contemporary, street and ethnic dance forms. The gala in Monaco will present a collection of the SOHDE’s finest moments, and will be an opportunity to truly discover these outstanding Chinese dancers in advance of their appearance in performances of “Samson and Delilah” on Monaco’s national holiday.